There are four steps for generating a keypair. 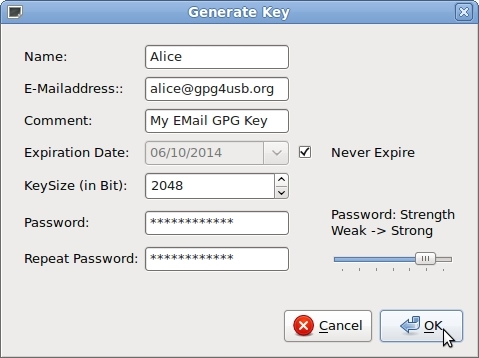 We assume, that Alice wants to generate a keypair, so she can decrypt texts, which are encrypted for her. 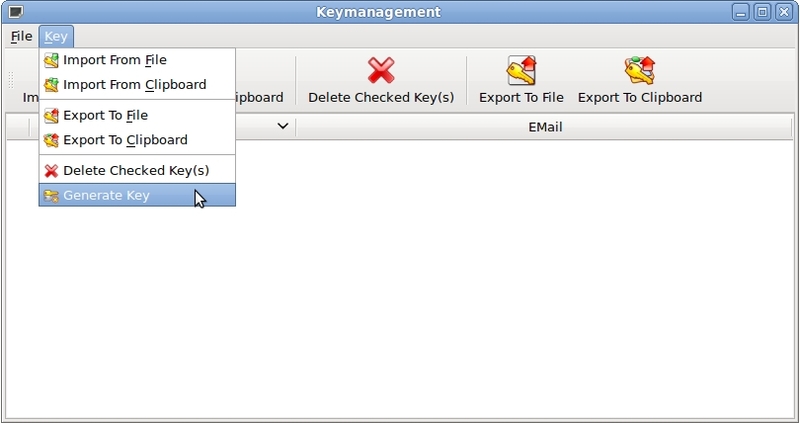 First Alice opens the keymanagement through the toolbar. Now she fills in the forms. NOTE: A key with a higher bitrate is more secure, but also needs a more time to encrypt and decrypt texts. 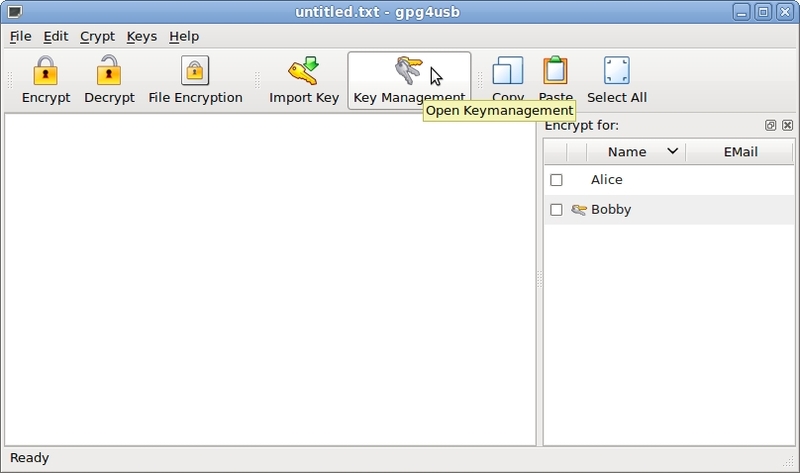 To generate a key, you only have to provide a name. Even the passphrase could be empty (which of course lags of security). Now Alice has just to wait. The process of the key generation is faster, when Alice does something on her PC, so that the randomdevice gets more input and so more entropy. When the generation dialog box disappears, the key generation is finished.